Welcome to DIESEL LOCO SHED, a One - Stop Location for all the Diesel Locomotives of Indian Railways. 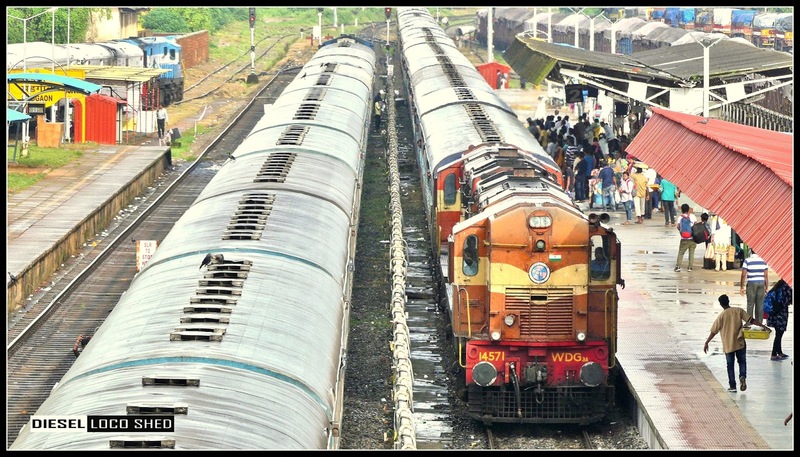 Diesel Loco Shed portrays the Real Beauty of Indian Railways , the Diesel Locomotives, through pictures and Videos captured across the nation. 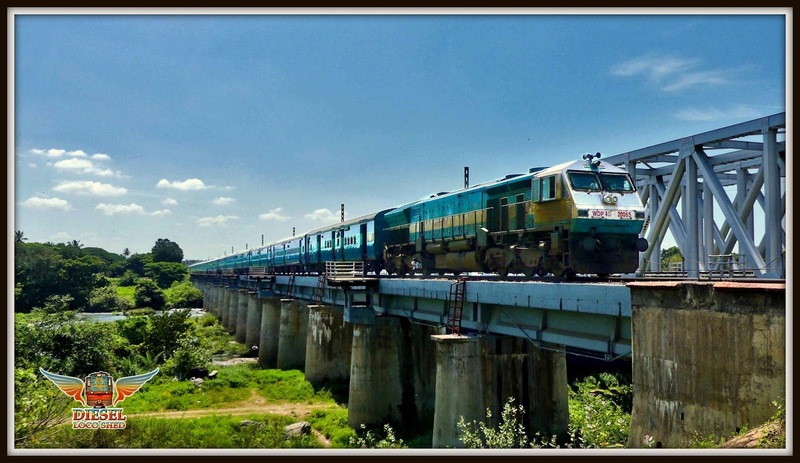 Join us as we explore the vast multitude of evergreen Diesel locomotives. 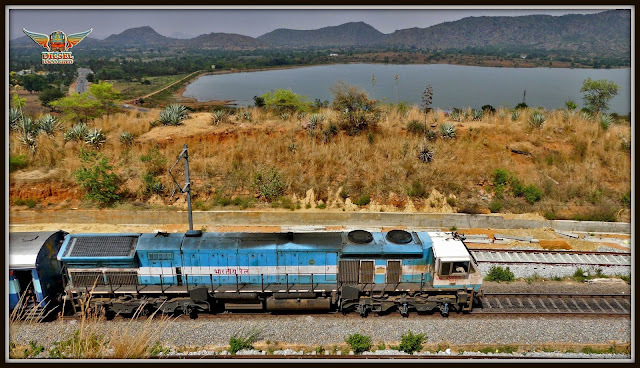 One of the Most Scenic Sections in Indian Railways !! 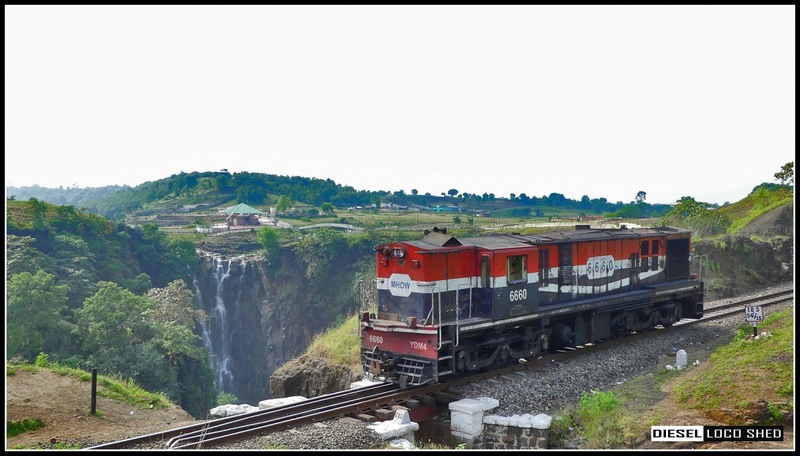 Famous for the "Dudhsagar Waterfalls" and the Tunnels Enroute, Braganza Ghat Section is one of the Spectacular Ghats one can Enjoy riding through. The Train Ride through this Ghat Section is one of the Most Breathtaking Experiences Ever !! 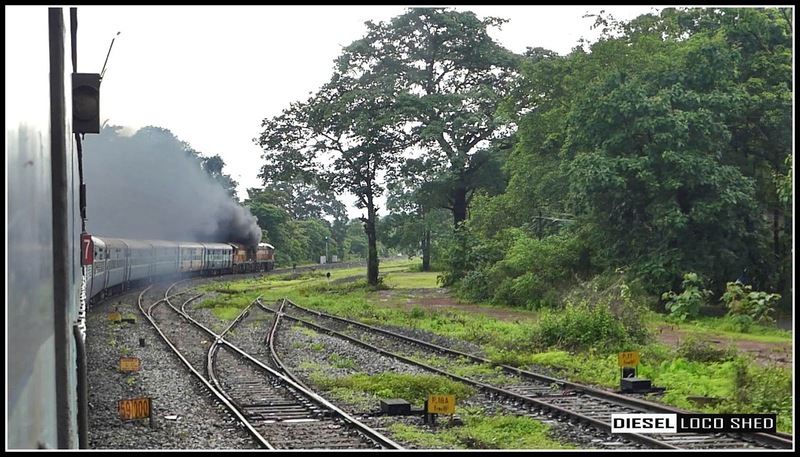 Join us as we Travel through the Heavenly Braganza Ghats, behind Two Enthusiastic ALCO Monsters !! 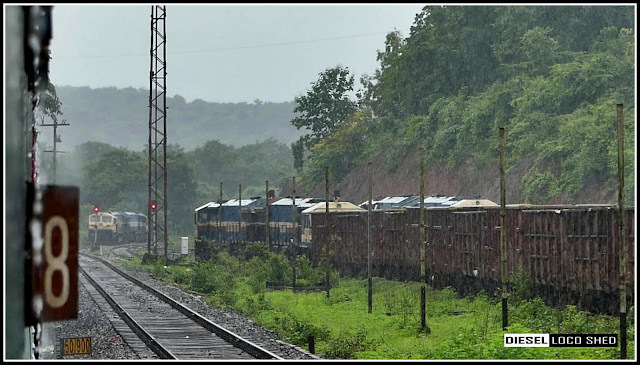 The Braganza Ghat Section Lies between Kulem (Goa) and Castle Rock (Karnataka) on the Londa - Madgaon Line. The Ghat has a Mighty Gradient of 1 : 37 and the Trains which Move up the Ghats are Pushed with the Help of Banker Locomotives from the Rear. 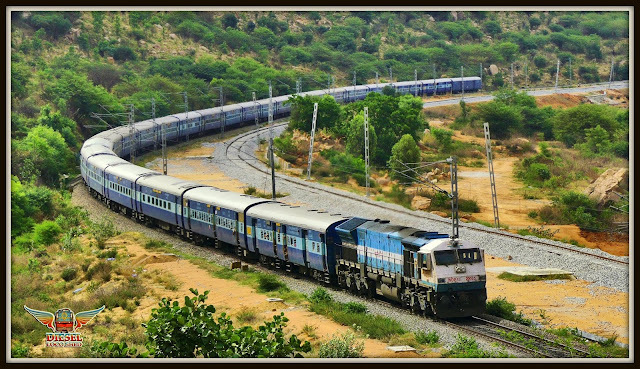 Seen here is one of the Most Important Trains which pass through this Section - 18048 / AMARAVATHI EXPRESS (Vasco Da Gama - Howrah). The Train is powered by Twin WDG 3A Locomotives (14571 + 14651) from Diesel Loco Shed, Gooty (GY) and from Kulem it is Pushed by Twin WDG 4 Locomotives (12077 + 70073) from Diesel Loco Shed, Hubballi (UBL). 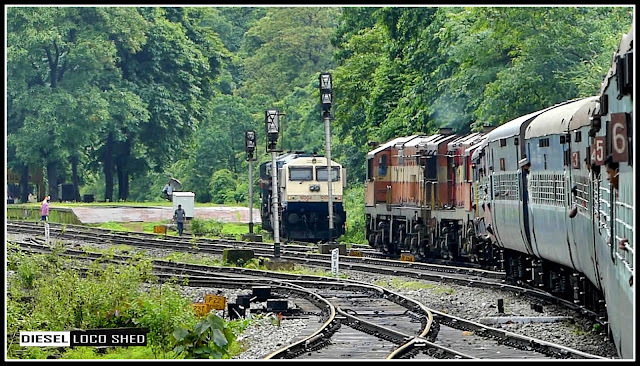 View of the Twin ALCos Entering the Loop Line at Kulem and the Banker Locos Wating !! The Bankers Attaching to the Rear of the Train in Heavy Rain !! 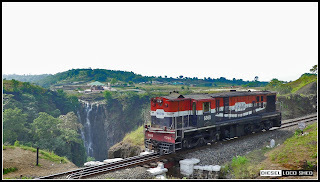 Stay tuned for the Upcoming Part Featuring the Legendary "DUDHSAGAR WATERFALLS" and the 16 Tunnels Enroute !! Coming Soon only on Diesel Loco Shed ! !